This badge was issued to Nicolas Winocur on 18 Nov 2018. 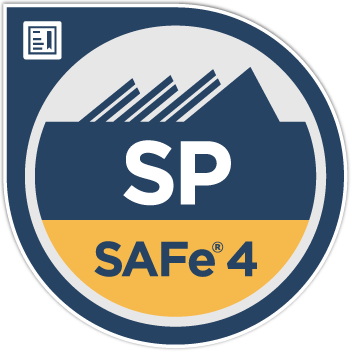 A Certified SAFe 4 Practitioner (SP) is a SAFe team member professional responsible for using Scrum, Kanban, and XP in a SAFe environment. Key areas of responsibility include planning Program Increments and iterations, breaking requirements into stories, developing incrementally with built-in quality, demoing value at a team and program level, and problem solving impediments to drive relentless improvement.